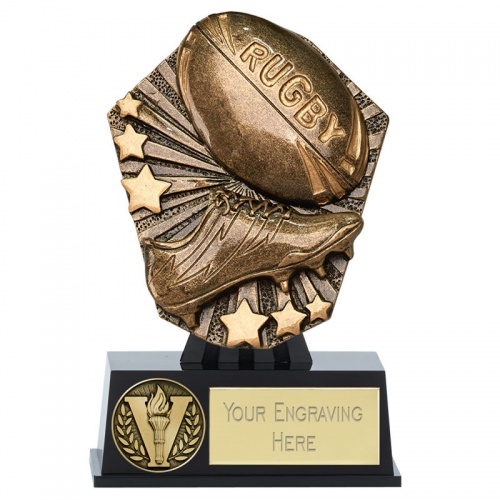 These rugby mini trophies are suitable for both mens and womens rugby awards, and for both boys and girls rugby prizes. Crafted in resin and set on a black base, they feature a rugby ball and boot set on a backdrop with stars. The height of these small awards is 4 7/8in (125mm) including base. They can be engraved via an engraving plate attached to the base.